Today I'm helping out my cousin to spread the word about Burnaby North School's Christmas Cheer fundraiser. Christmas Cheer is holding a fundraiser for the Burnaby Christmas Bureau on Saturday, October 8th from 9:00am to 6:00pm at 751 Hammarskjold Drive, Burnaby, B.C. (approx. Hasting and Kensington). For every person that comes out to test drive a Ford vehicle, Ford will give Christmas Cheer $20 to donate to the Burnaby Christmas Bureau to give less fortunate families food, clothes and gifts for Christmas. Christmas Cheer is a club at Burnaby North Secondary School and the annual goal is to raise $10,000 in four months for the Burnaby Christmas Bureau. The club started in 1989 and is one of the major contributors to the Burnaby Christmas Bureau. For more information and to RSVP please go to Christmascheer.webs.com. Thanks in advance for your support! It's the start of October already?! Times really flies when you are having fun! Check out this weekend's events. There are so many options that I couldn't list them all here! The biggest event happening is Culture Days which is actually made up of many events all over the Lower Mainland. See my post about it here. Projects in Place, a volunteer run, non-profit society hosted the Community Builder's Event at Science World last night. Admission was free which included the Extreme Dinosaur exhibit since Projects in Place is partnering up with Science World. There was food, a cash bar, live music, 50/50 draw and a silent auction held for various photos. There was lots of opportunity to learn about the various community projects the society were responsible for. Their goal through these projects is to build greener neighborhoods and stronger communities by using volunteers to design and build projects that benefit everyone such as an urban farm in downtown Vancouver or a cleaning up and improving a children's playground and park. You can read more about Projects In Place on their website here and sign up to be a volunteer as well! Want to meet Dan Hamhuis? He'll be at the Canucks Team Store on Robson this Friday, September 30th, signing autographs for 150 lucky fans. Guarentee your spot in line by picking up a voucher from the Robson Team Store starting Friday morning at 10:00am. 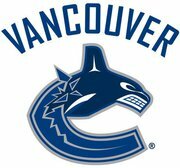 Hamhuis will arrive at 4:00pm. Projects in Place is partnering up with Science World and to celebrate they are throwing a party on Wednesday, Sept 28th! Meet the designers, builders and community members who share a commitment to creating better neighbourhoods and enjoy free access to Science World’s amazing new renovation – over 14,000 square feet of gallery space, including the newly opened, Extreme Dinosaurs! Love fantasy novels? Meet some of the most popular female authors at the Smart Chicks Kick It Tour on Saturday, October 1st at Chapters Metrotown. The event will feature 6 amazing female authors who've all become fan favorites: Kelley Armstrong, Jennifer Lynn Barnes, Melissa Marr, Beth Revis, Margaret Stohl and Sara Zarr! 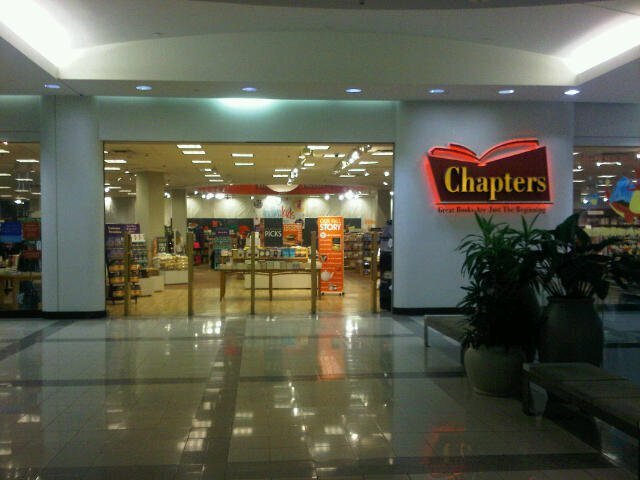 The authors will be signing books and attendees also get a chance to win 1 of 25 10$ Chapters giftcards by answering trivia questions! 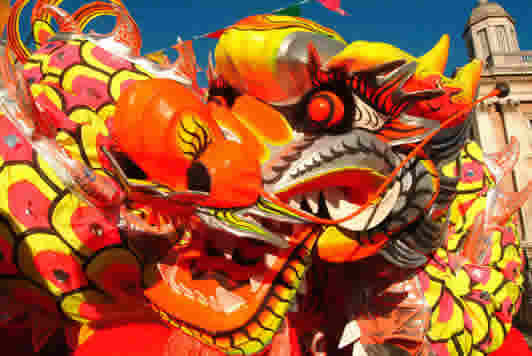 This free family friendly festival celebrates the diversity of Chinese culture and heritage. It features Asian food, traditional music, Chinese heritage dancing, Lion dance, Chinese martial arts and many other fun things. Adam (Joseph Gordon-Levitt) is a 27-year-old guy who lives life on the safe side when he is suddenly diagnosed with a rare cancer. He learns that his type of cancer has a 50% survival rate and the movie follows how he, his girlfriend Racheal (Bryce Dallas Howard), his best friend Kyle (Seth Rogen), and his parents deal with the news. Adam makes friends with two older chemo patients while doing chemotherapy and seeks therapy from a young and inexperienced therapist Katherine (Anna Kendrick) with whom he seems to develop a rapport. 50/50 was inspired by the life of the screenwriter Will Reiser, Seth Rogen's friend, who was diagnosed with the same cancer. Given the seriousness of the topic, they managed to make an awesome movie that made me laugh and cry. The laughs are appropriate and does not trivialize the seriousness of cancer. The journey of dealing with cancer that Adam and the people around him takes is very realistically portrayed and all the actors did an amazing job. Overall, it is a heartwarming film that focuses on friendships, feelings, and love. 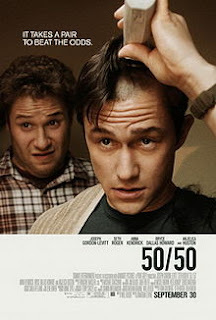 50/50 is in theatres on Friday, September 30, 2011. Go see it. 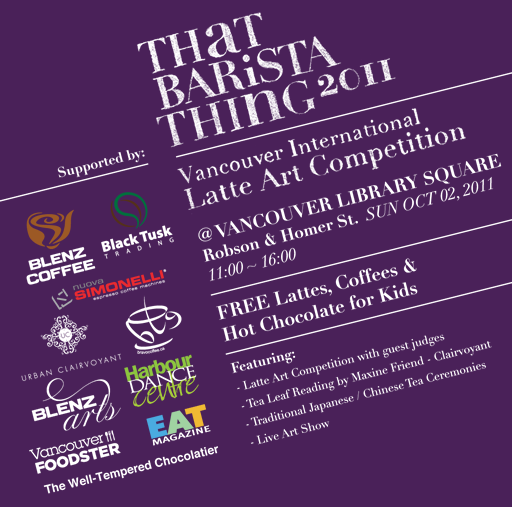 Blenz Coffee is hosting the 3rd international Latte Art Competition & Etching Competition on Sunday, Oct 2nd, dedicated to celebrating barista culture! Watch Baristas from worldwide on the main stage compete for the cash prizes! Join in Latte Art Etching workshops, craft tables, Fortune Telling Tea Leaf Reading, Live Artists at Work, Authentic Japanese & Chinese Tea Ceremonies, and lots more! Free lattes, coffees and hot chocolate for kids will be offered on site! Presented by VanDusen Master Gardeners in Floral Hall. Join the Master Gardeners to celebrate the bounty of the Fall season. Learn how to improve your soil, make friends with the bees and watch a cider-making demonstration. Blackberry Hill will be on hand with yummy goodies to enjoy as you browse for plants, shrubs fruit trees etc. for your garden. Admission by donation with proceeds supporting Master Gardener and VanDusen education programs. Thinking about getting a dog? Pedigree pet food hosting an Adoption drive to prove to people that shelter dogs are good dogs and raise money to help shelter dogs find their forever homes. Meet the Shelter Dogs representatives, Phoenix and Bootsie, and other dogs that need homes at the pop-up shelter that will be set up at TD Plaza downtown Vancouver. See official website for individual event times and dates. As with all Apple Store grand openings, there was a line up way before the store opened. The line wound up around the atrium and down to the 2nd floor but compared to the Richmond Centre grand opening line, it was nothing! The Apple staff came back making lots of noise and spreading germs giving high-fives to everyone. Twice. 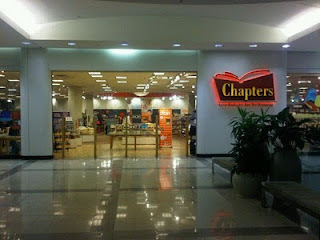 More cheering and clapping happen when the store opened and high-fives were giving as you went in. Inside the Apple Store is no really different than all the others. The staff are pretty good at making something that isn't very special to seem so exciting! Join French Connection and the celebrity gossip Queen---Elaine Lui, aka, Lainey Gossip for a night of “dishing it out” and shopping. Enjoy exclusive 30% discount shopping, cocktails & canapés, beauty & hair bars, door prizes, win $500 gift card for best dressed! Space is limited so RSVP quickly! Send an email to inquiries@LaineyGossip.com with "Vancouver Party" in the subject line. 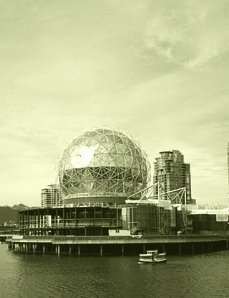 1150 Robson street, Vancouver, B.C. RONA is hosting a BBQ and games as well as giving the opportunity to Canucks fans to meet some players of the Vancouver Canucks at the RONA store at Grandview on Monday, September 26th. The first 175 people in line will get autographs from the Ryan Kesler and Mason Raymond! No word yet on which players will make an appearance. While you are there, you can also enter to win VIP package which includes two (2) lower bowl tickets to attend the Vancouver Canucks 2011-12 Season opener vs. the Pittsburgh Penguins, two (2) Vancouver Canucks jerseys, two (2) 8’x10’ autographed photos (Henrik Sedin & Daniel Sedin), VIP tour of Rogers Arena pre-game and two (2) passes to attend the post game press conference with Vancouver Canucks coach - Alain Vigneault! Jason Statham plays Danny, a retired assassin dragged back into the world of killing when his longtime mentor, Hunter (Robert De Niro) is held hostage when a client in a job demands the deaths of three secret British agents. Danny calls upon his old team mates to help free Hunter by delivering what the client wants but there is more to these hits than what Danny signed up for. Soon another secret agency called the Feathermen, start tailing Danny and his team and they may not live long enough to find out the entire plot against them. It is hard to believe that this movie is based on a true story. It makes you wonder what kind of secrets the government is keeping from you and maybe accidental deaths may not be accidental...is this the start of paranoia? I thought it was pretty good for an action movie. It has its gunfights, fistfights, car chases, a few funny moments - mostly from Dominic Purcell who plays Davies, Danny's team mate, and lots of killing, which is basically given with "killer" in the movie title. Lots of action not much else. Just when you think the movie has ended it picks up all over again. It does go on a lot longer after that so it was like watching two episodes of a violent TV show rather one cohesive movie. Still, it is quite entertaining and enough to warrant a watch in theatre. 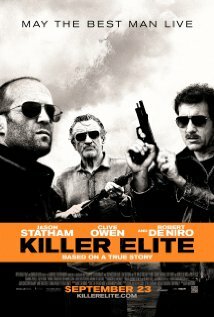 Killer Elite opens in theatres today, Friday, September 23, 2011. It is currently Crabfest at the BoatHouse Restaurant and my family being big fans of seafood, decided to try it out. We went to the Richmond location for dinner - taking a big detour when I missed the turn and ended up at the airport so it was about 8pm when we finally arrived. There was to many options to chose from we took a few minutes to decide what we wanted. The BoatHouse had posted a coupon for $7-10 off 3-course crabfest meals but nobody was up for sirloin (we're not big meat eaters) so we opted for the other dishes. A basket of warm sourdough bread with garlic butter was brought out while we waited for our food. It was super good. Crispy crust and warm soft center. Delicious. Unfortunately there was a super big party that put in their orders right before we did so we had to wait quite a while before our meals finally arrived. Our waitress gave us another basket of delicious bread while we waited. My dad was the only one who didn't order something from the crabfest menu. He opted for the sockeye salmon. Yummy. Mum ordered the Crab Topped Salmon which normally comes with lemon basil risotto but she doesn't like risotto so it was replaced with garlic mashed potatoes. My sis and I both ordered dishes that required digging right in with our hands. Yummy crab in the shell! These dishes take a while to get through but it is well worth it. The crab tastes like the sea. It's pretty good. It think I prefer the snow crab to the dungeness though. Awesome customer service! To say sorry for the long wait, our waitress brought out a dessert on the house! She knew that it was soon to be my mom's birthday thus the festive candle. The coffee ice cream cake was so good. Highly recommended. Celebrate the history of Vancouver’s first neighbourhood with a community fair and learn about the history and cultural diversity of an area. This event features a Heritage Scavenger Hunt, live entertainment, multicultural community booths, kids zone with pony rides and face-painting, and food! The scavenger hunt include prizes and gift certificates from Benny's Market, The Waldorf Hotel, The Vancouver Canadians, Bao Bei Chinese Brasserie, Bioethique Organic Cosmetics, Bang-On TShirts, BC Lions, Vancouver Whitecaps FC, Lower Mainland Christmas Bureau, PlayLand and more! Prizes will be drawn at the Pat's Pub afterparty. 7:00pm - 12:00am Afterparty at Pat's Pub featuring the Hard Rock Miners and open Strathcona Jam. BC Rivers Day takes place on Sunday, September 25th and the new River District community is hosting a fun afternoon event for all ages to celebrate. 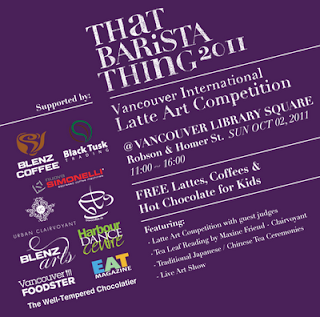 There will be community arts and crafts booths, a special Vancouver Art Gallery table, live jazz music, origami workshop, yoga, and a pie baking competition! 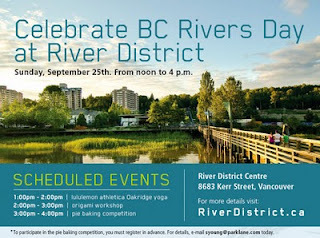 Great prizes to be won from Romer's Burger Bar, lululemon athletica Oakridge, and the Vancouver Art Gallery. Judges include Rachel Fehr from Tartine Bread and Pies, Carley Seney from Bread Garden, and Mijune Pak owner of Follow Me Foodie! If you want to participate in the pie baking competition, you must email syoung@parklane.com by Thursday September 22nd to register. Update: Registration is still open! Sawyer (Nathan Gamble) is a shy boy who has no interest in school and only likes to build remote control helicopters. He is only happy when his elite swimmer cousin Kyle is around but when Kyle leaves for the military, Sawyer grows more withdrawn. One day as he was passing by the beach, he is called to help save a beached dolphin tangled up in a crab trap. He cuts the dolphin free and forms a bond with it before she is taken away to Clearwater Marine Rescue Centre. Sawyer visits the centre every day to visit and help rehabilitate the dolphin, now named Winter by Hazel (Cozi Zuehlsdorff), the daughter of Dr. Clay Haskett (Harry Connick Jr.). However, Winter's tail takes a turn for the worst and had to be amputated. She however surprises everyone by teaching herself how to swim again but her new swimming methods would eventually kill her. Sawyer is determined to save his friend and enlists the help of Dr. McCarth (Morgan Freeman), a prosthetic maker to make Winter a new tail. Meanwhile time is running out for the rescue centre when financial problems continue to force them to consider selling or close down, leaving Winter's fate a dismal one. Dolphin Tale is inspirational story of never giving up and the importance of family. It's a great movie that is based on a remarkable true story. It sometimes feels a bit fake - the actors where too enthusiastic or too depressed but still a great cast. As for 3D effects, there were a few: a whole rogue remote control helicopter scene that was probably put in there for the purpose of 3D will delight children as well as diagrams of Winter's new prosthetic tail that floated off the screen. Other than those there weren't many other 3D effects. No 3D splashes of water I can recall. 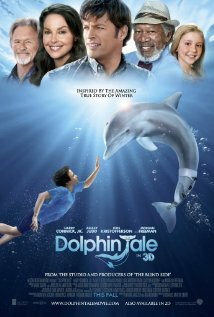 It's a delightful movie that the younger audience as well as dolphin lovers will enjoy. Dolphin Tail is in theatres September 23, 2011. Was at the midnight launch of Gears of War 3 at Cambie Best Buy last night. By 8:45pm the line was almost to the end of the block! The first person was lining up since 9AM in the morning! Crazy! The Best Buy staff came down the line handing out GOW3 bandannas and asking trivia questions and winners received a GOW3 baseball cap. Cool stuff: six flatscreen LG LED TVs were set up for gamers to defeat the Horde! GOW3 hoodies were given to those with the highest score! Two other LG 3DTVs were set up next to them. Playing GOW3 in 3D is pretty sweet I can tell you that. Finally in the store. Look at all those sweet games!